Lots of hotel spas in Hong Kong have the dark and mysterious Oriental vibe cornered but befitting the hip contemporary feel of the hotel itself, MiraSpa has gone for the cool and modern look – which I’m personally a big fan of, given my love for Bliss Spa. With splashy purple hues, white blobby lights, trippy beats and a floatation lounge full of water beds, it’s destination Balearic bliss all the way. After an invigorating cup of ginger tea, we were ushered into our VIP suite for the treatments to begin, starting with a relaxing little foot bath where our therapists explained what lay ahead. First up was the Mira Massage, a blend of Asian and Western techniques including aromatherapy, hot stones and advanced sports therapy. I’m a bit of a weakling when it comes to massages but my therapist Connie nailed the medium pressure I needed at first stroke, and soon my limbs were drifting off into a very happy place. The highlight of the treatment was the hot stone therapy – divine balls of happy heat that danced away my aches and pains – and I only wished this part had lasted longer. 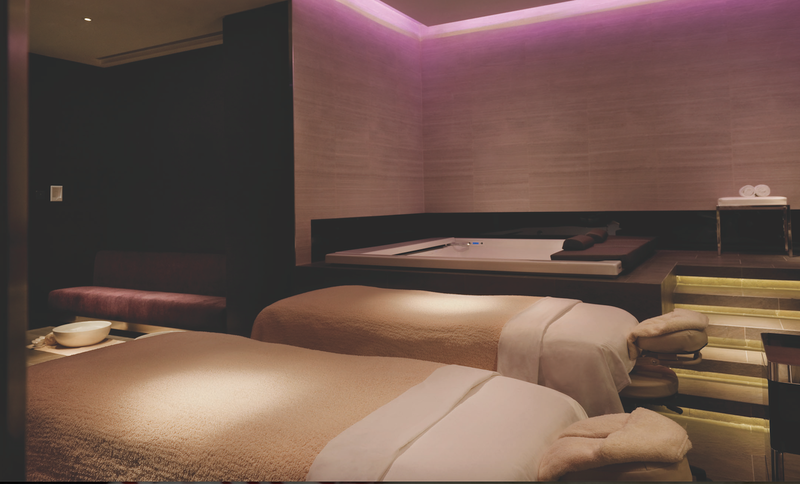 Then it was onto the Rose Aromatic Facial, which utilises products from luxe British spa brand Aromatherapy Associates. I have to confess that I utterly detest rose scents so I did find the fragrance slightly overpowering; I’m also not a huge fan of facials like this that swipe your face after every step with cotton pads soaked in cleanser or toner, as I personally find it pretty drying. That said, there were still plenty of perks to the treatment – a very soothing moisturising mask (which allows ample time for, you’ve guessed it, a wonderful head massage) and a very painful extraction (which I was rather sceptical about at the time, but which did seem to hold my ever-problematic blackheads at bay for much longer than usual afterwards). And I had absolutely zero quibbles with the final results – a much rested, clearer complexion with soft smooth skin to match, a real radiance that was still very visible a good ten days after the treatment, even with a stinking cold thrown in the mix. If that’s the pay-off for putting up with the occasional cloying whiff of rose, then drench me in the stuff please! Despite our best attempts to claim squatter’s rights in our spa suite by snoozing away, it was off to lunch we headed – to Yamm, The Mira’s buffet restaurant located on the ground floor. 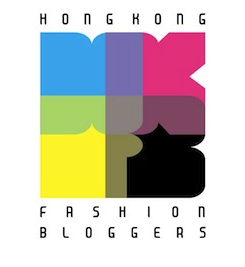 In all honesty, this did bring us crashing back to reality rather too soon; whilst the restaurant is pretty spacious, the buffet crowds had already descended… and Hong Kong buffet crowds are pretty much the exact opposite to feelings of inner calm and Zen. 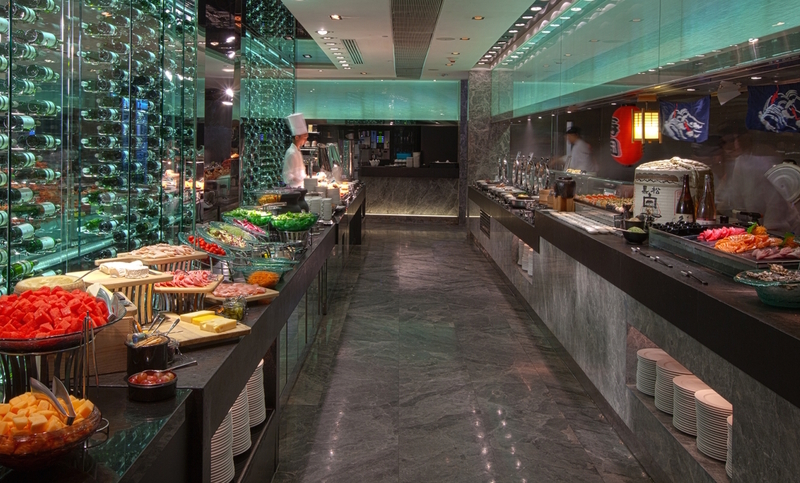 Yamm’s buffet is huge and features both Western and Asian options – cheese and cold cuts, salads, fresh seafood, dim sum and congee, sushi, an udon station, roast meat, a waffle station, decadent desserts, fresh fruit… it’s essentially a full sweep of every cuisine category available on OpenRice. I went straight for the roast beef with gravy, roast potatoes… and beef siu mai (third-generation cross-cultural kid reporting for duty!). It was all delicious, albeit probably not the light post-spa lunch that wellness warriors on Instagram would extoll… especially not once I finished things off with a freshly-made waffle topped with ice cream and chocolate sprinkles. 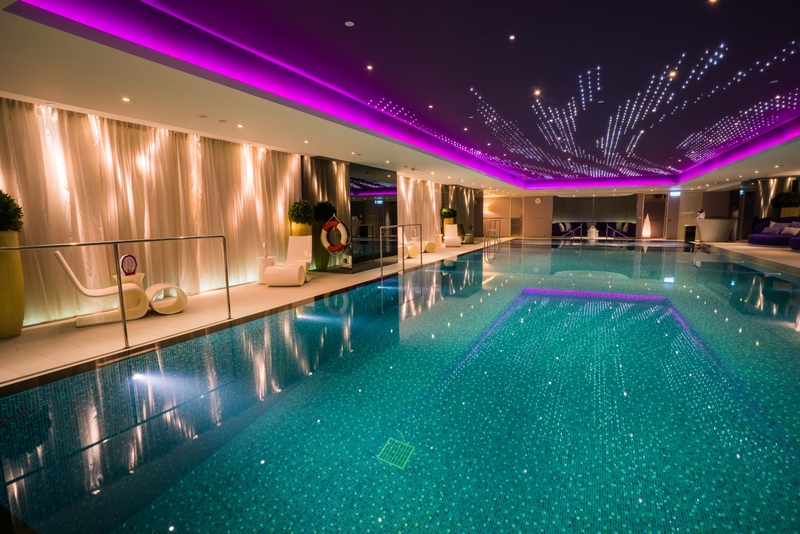 Kate and I had been itching to try The Mira’s infinity pool for many years now; we had nicknamed it “The Disco Pool” thanks to its Studio 54-esque glittering lights combined with the groovy baby contrast of aqua waters with a magenta ceiling. 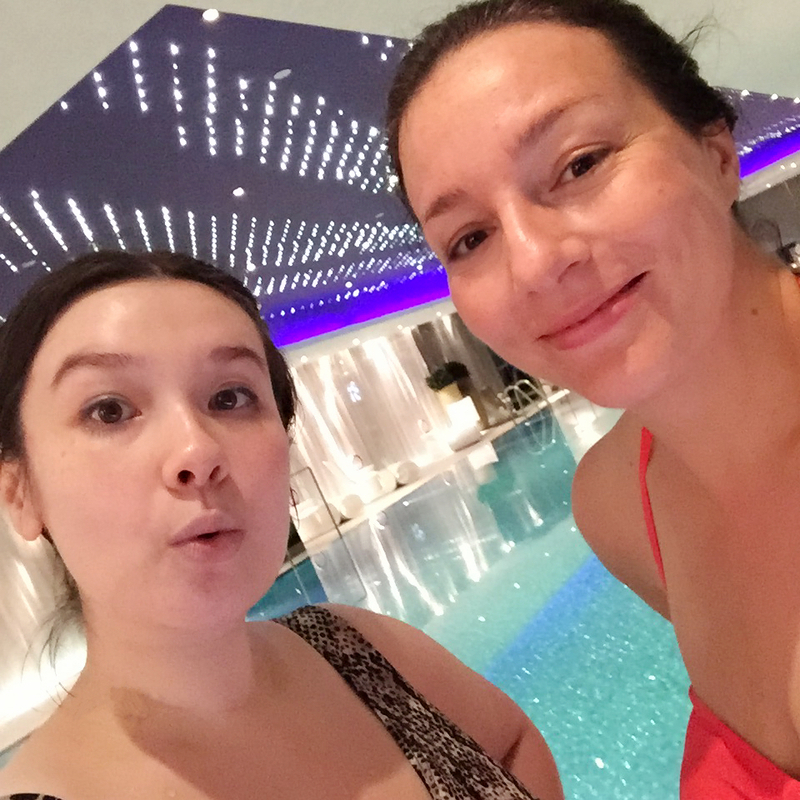 The pool was happily pretty empty all afternoon and was every bit as awesome as we’d imagined, and we spent a blissful few hours setting the world to rights whilst hopping between the heated pool, bubbling Jacuzzi and surrounding cushy white sofas – with time for a few obligatory pool selfies, of course! The best kind of office for the day if you ask me. Nevertheless, I do think the Splunch package would be improved by keeping everything in the bubble of the MiraSpa basement; having to get changed out of your comfy spa robe and drag yourself to the buffet bustle one floor up is about as big a #firstworldproblem as it gets, but if The Mira could somehow incorporate a light lunch poolside (a la The Conrad Hong Kong’s Weekend By The Pool package), it would make the whole experience far more cohesive. MiraSpa does already serve fresh juices and mocktails poolside, so this would be a relatively easy tweak that would make a big difference to the overall level of lushness – and mean you wouldn’t have to harsh your spa mellow until you actually made it out The Mira Hong Kong’s doors for good (well… until your next spa day, you know what I mean). Overall though, The Mira Hong Kong’s Splunch is truly fantastic value for money, especially given the high quality of treatments and all-day use of the fabulous swimming pool (as well as the sauna, steam room, hydra pool and experience showers if they catch your fancy); the components of the package normally stack up to a total of $2483, so it really is a significant saving. 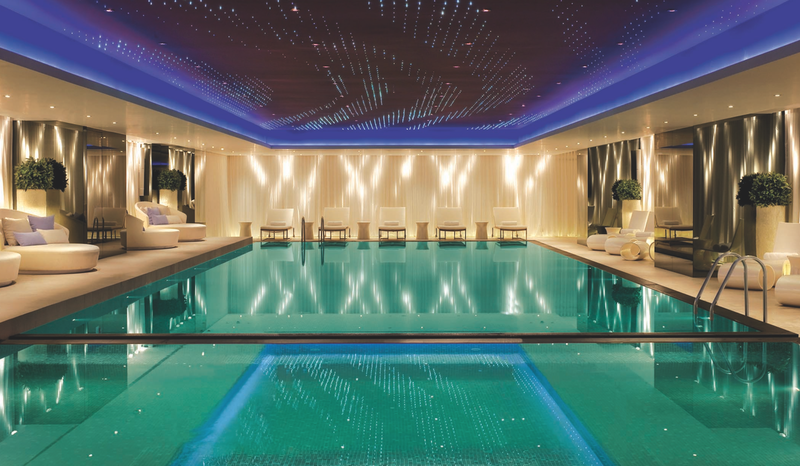 Just one hour-long treatment would already be great, two is a brilliant bonus and I could happily wallow in that disco pool all day – so for a day of pure pampering perfection, it’s simply mira-vellous! This entry was posted in Beauty, Hong Kong and tagged Aromatherapy Associates, best indoor swimming pools Hong Kong, best pool packages Hong Kong, best spa package Hong Kong, best spas in Tsim Sha Tsui, best swimming pools HK, best swimming pools Hong Kong, facial, massage, Mira Massage, MiraSpa, review, Rose Aromatic Facial, spa, spa day Hong Kong, spa Mira Hong Kong, spa package Hong Kong, Splunch Mira Hong Kong, Splunch MiraSpa Hong Kong, The Mira HK, The Mira Hong Kong, The Mira Hotel, Tsim Sha Tsui. Bookmark the permalink.